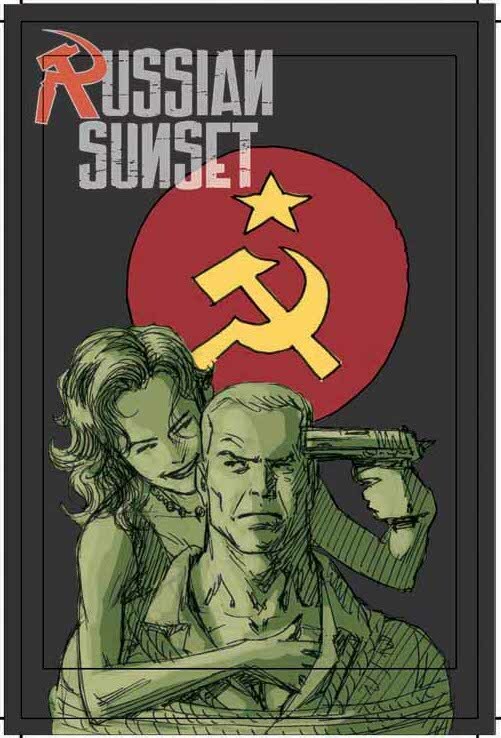 Yesterday I showed off the planned cover for issue #1 of Russian Sunset by Bart Sears and Mike Atiyeh. 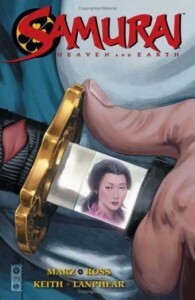 Today, it’s the cover for issue #2, by Luke Ross, my artistic partner on Samurai: Heaven and Earth. After we kicked around the concept, Luke produced the three roughs you see above. We ended up picking the one with more of an iconic/propaganda composition, reflecting Russian proletarian art. 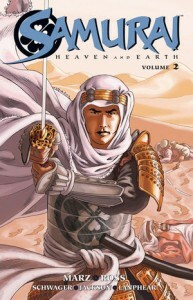 Luke rendered the cover in his tonal pencil style, the same style he employs for Samurai: Heaven and Earth. 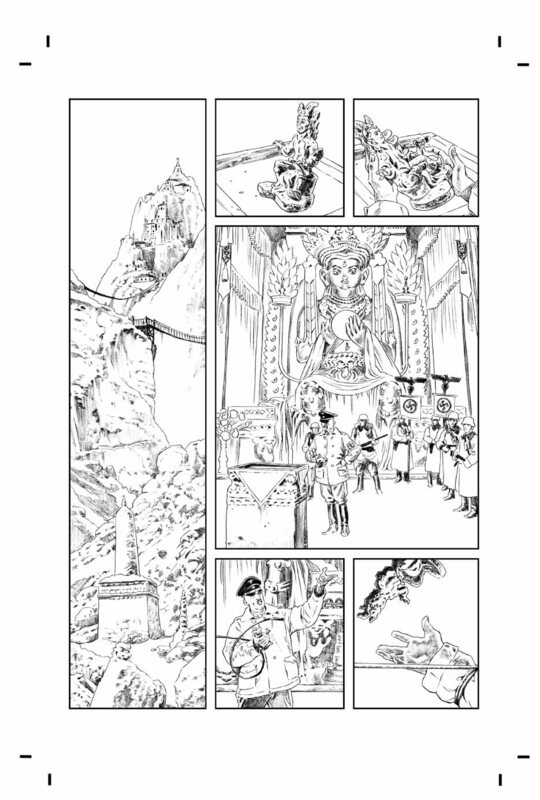 The tonal style is more painstaking and time-consuming than simply penciling to be inked, but I think the results speak for themselves. Colorist pal Rob Schwager then dropped in the flat red background. 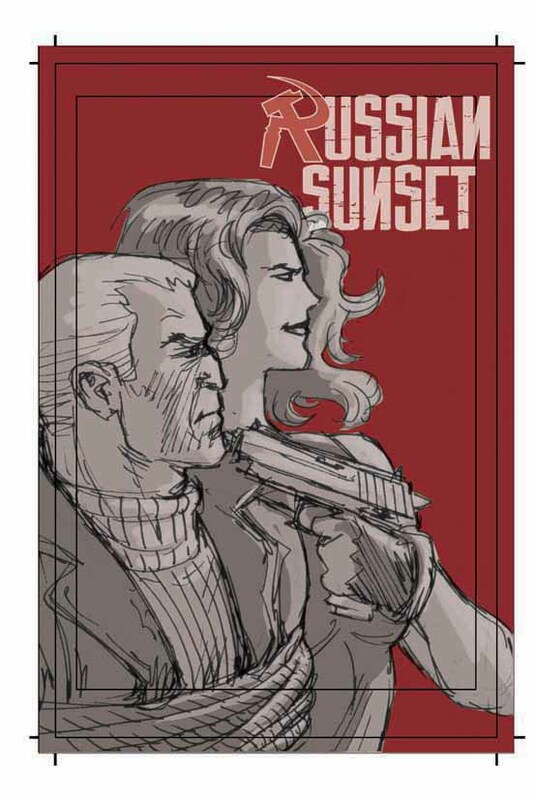 The other planned covers for Russian Sunset were to have been by Cully Hamner, Brian Stelfreeze and Darryl Banks. And at some point, maybe they still will be. 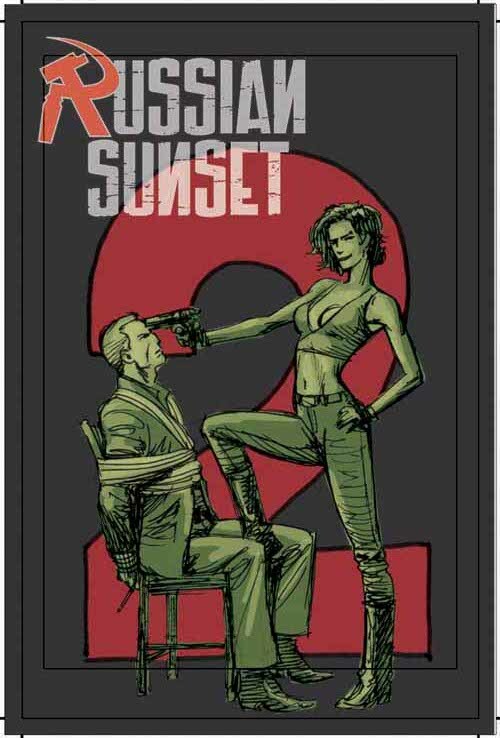 A few years ago, a creator-owned project of mine called Russian Sunset was announced at Desperado Press. 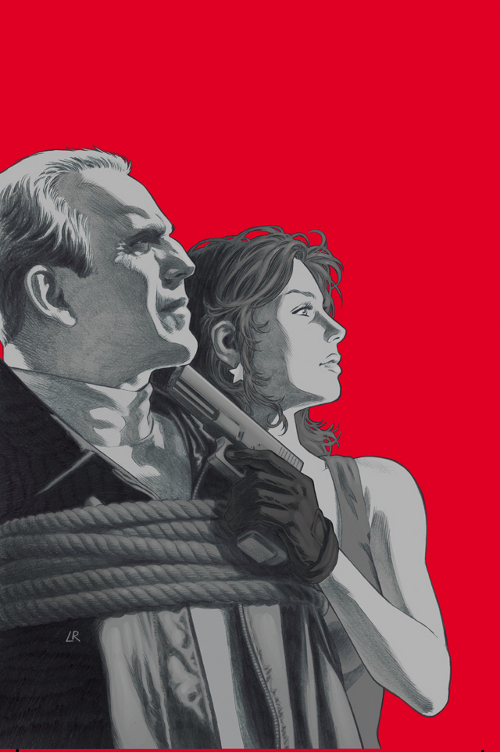 It was a five-issue crime/espionage story about an enforcer for the Russian Mob, drawn by a talented Serbian artist named Mirko Colak. Short version, we completed the entire first issue, but the project didn’t come out due to a number of factors that I won’t go into. It just didn’t work out. I’m still friends with Joe Pruett of Desperado, and I’m sure in the future we’ll work together on something (in addition to the foreword I’m writing for the Jim Starlin art book that Joe is publishing). Mirko is presently drawing albums for French publishers, and hopefully we’ll get to collaborate again. 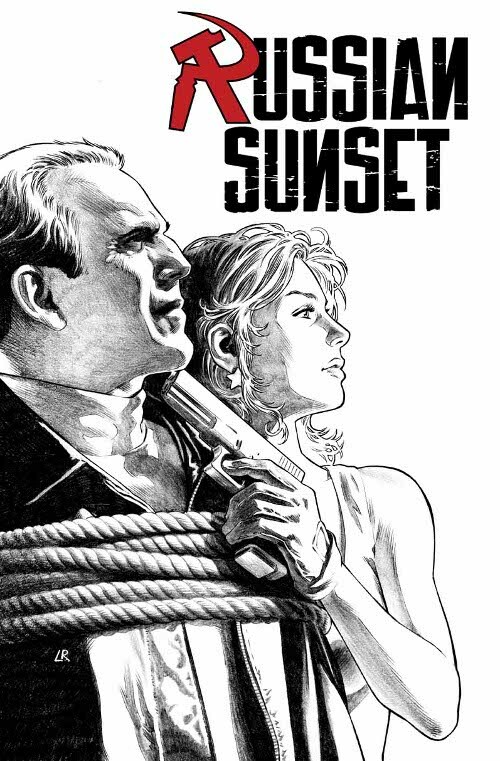 Russian Sunset itself landed at Top Cow, with a different artist attached, but not too long before we were going to begin anew on the series, the artist accepted a DC exclusive. No hard feelings at all, it was the right thing for him to do. But it put the series back into limbo, where it presently resides. At some point, though, I fully intend to get it up and running again. I’m thoroughly enjoying all the work-for-hire gigs I’m doing – Witchblade, Magdalena, Angelus, Velocity, Artifacts and a few other things that are still under wraps. But there’s nothing like working on creator-owned projects. You’ll be seeing a few more of them from me in the future. 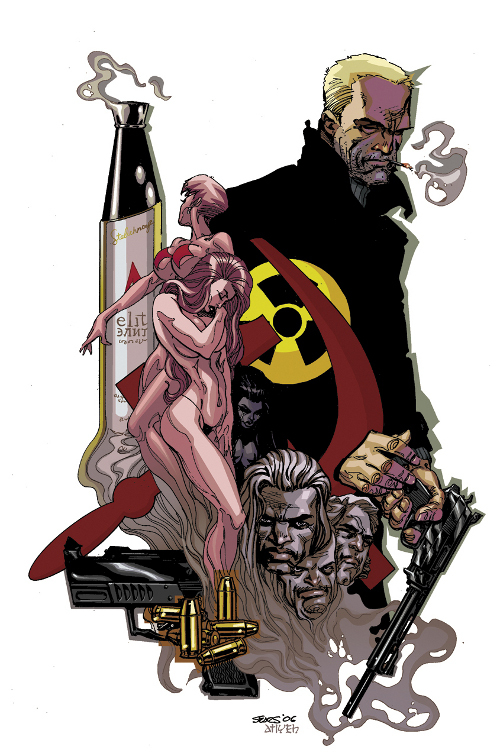 In the meantime, here’s the original cover to Russian Sunset #1, pencils and inks by Bart Sears, color by Mike Atiyeh. 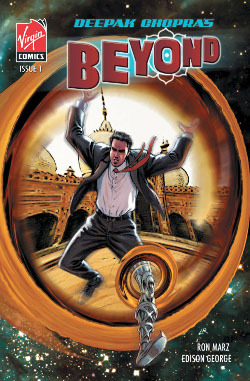 Come back tomorrow for a look at two versions of the Luke Ross cover to issue #2. Luke and I would love to get back to Volume 3, and at this point, it’s a matter of our schedules matching up. The first issue of Volume 3 is written and waiting, and Luke has completed all the covers for the five issues. You see two of the covers here, both colored by Dan Jackson. 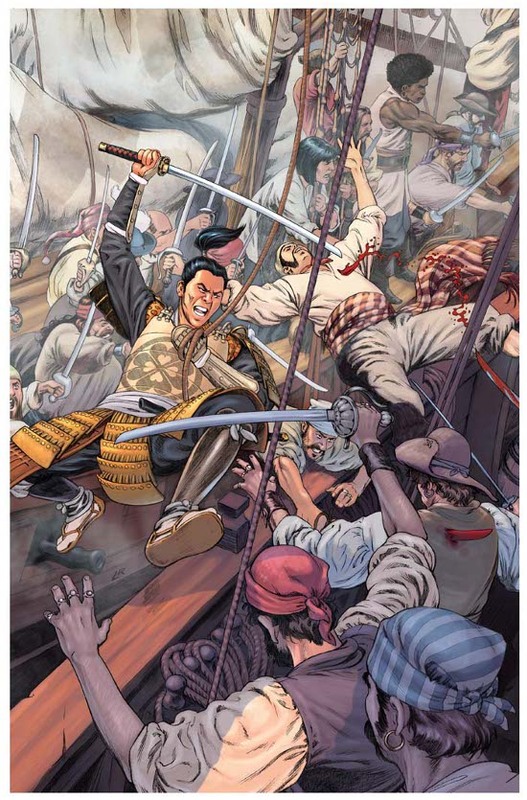 As the covers make pretty obvious, the next series moves the setting to the Caribbean, placing Shiro in the midst of a cutthroat pirate crew that features characters both historical and literary. 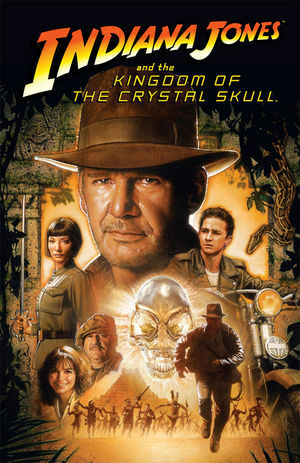 Luke is presently under exclusive contract to Marvel, which led to Luke’s work on Captain America and Amazing Spider-man, among other assignments. But we both intend to get back to “our baby” as soon as Luke’s schedule allows. 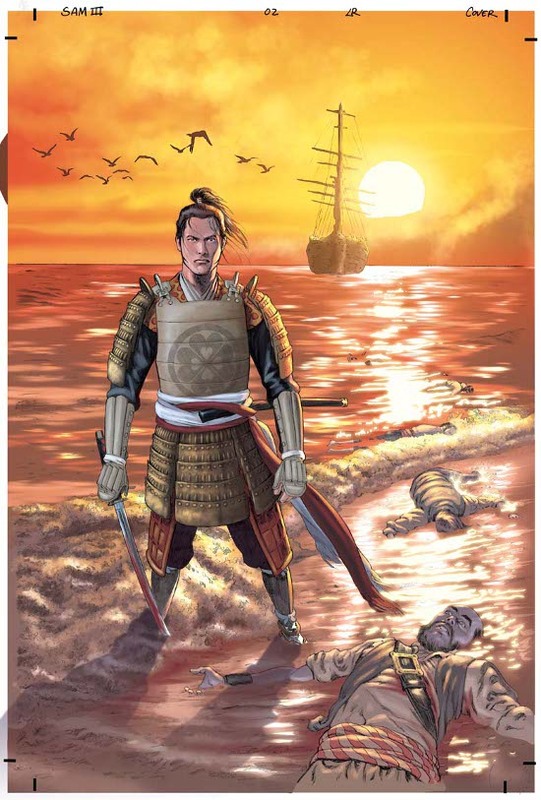 Luke and I even have a couple of other projects – one a creator-owned story about a Brazilian folk hero, the other featuring a favorite superhero – that we plan to get to at some point. In the meantime, we appreciate your interest, and we appreciate your patience. The story of Shiro and Yoshiko is not yet over. 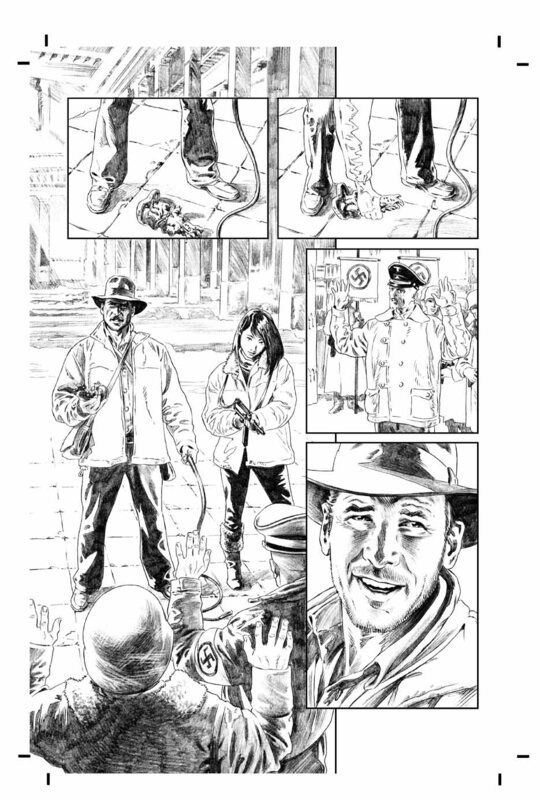 A brief addendum to the awesome Indiana Jones pages by Luke Ross I posted earlier this week. 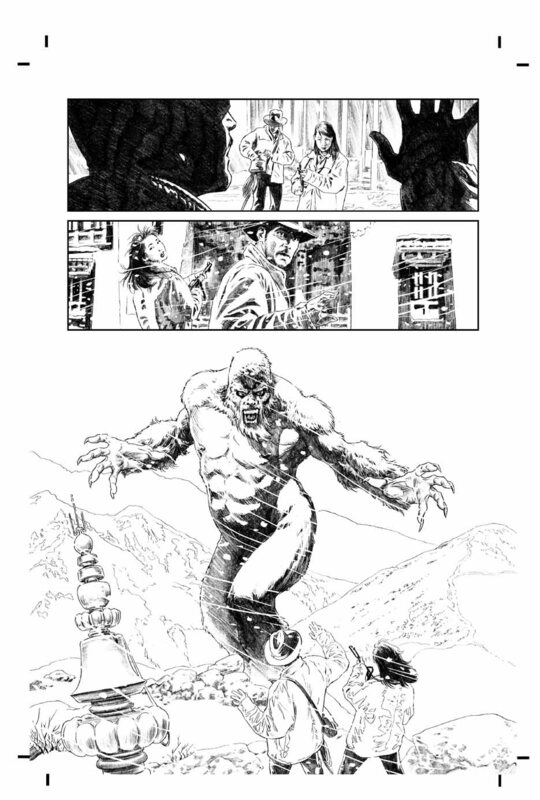 Here’s the first of those pages in glorious color, courtesy of Mike Atiyeh, whose color work has graced books from Marvel, DC and Dark Horse, as well as CrossGen. 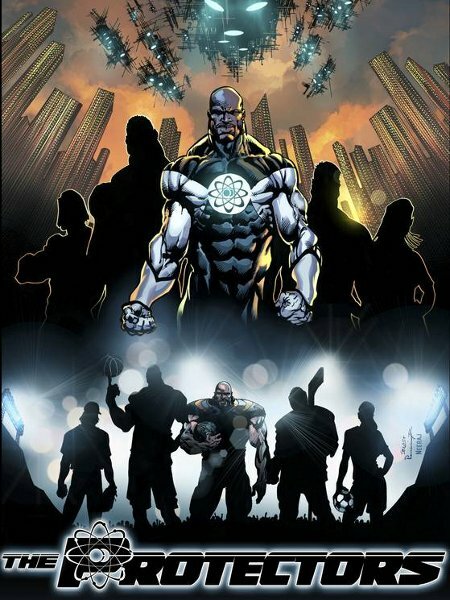 Mike was one of the first CrossGen colorists hired. Besides being one of my best buddies there, we worked together on The Path, Mike coloring both the Bart Sears and Matthew Dow Smith issues. Mike has been a regular contributor to the Dark Horse’s Star Wars line, which is fitting since he’s one of the biggest Star Wars fans in this universe or any other. 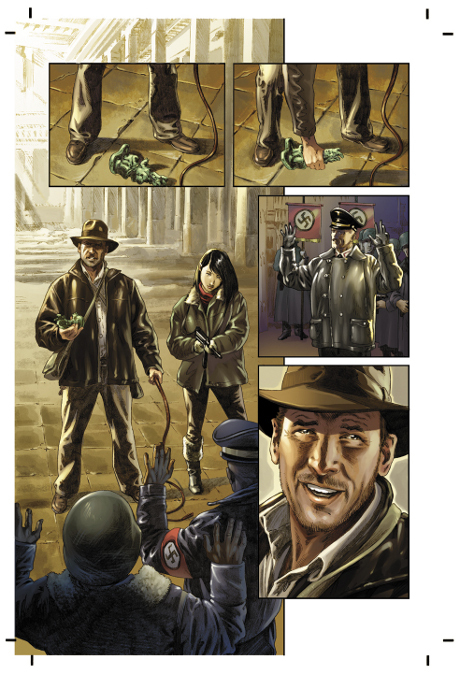 Obviously there’s a whole lot of love for Indy as well, as this page shows. Hope you like it.